Everyday thousands of actors audition in Hollywood. Some get hired, some don’t. But, thanks to those websites that provide online listings of casting auditions. This gives an opportunity to all aspiring artist who want to be successful in the television or film industry. Such websites provide complete details about the casting auditions. This particular media help actors find good roles in TV, theatre, films and advertising world. The actors need to upload their profile online to get themselves noticed by directors and production houses. One is simply required to pay a reasonable membership fee for knowing about the casting auditions that are going to take place in the near future. These special online providers are the easiest way to know more about audition casting and auditions casting calls. Casting is basically a pre-production process for selecting a cast of actors, dancers, singers, models and other talent for a live or recorded performance. Casting directors conduct the auditions to determine whether or not the actor fits into the role. During acting auditions, the actors are required to read from the scripts of the project or prepare a monologue. If you are able to impress the directors, producers or production house owner present during the auditions, the role could be yours. However, things are not as easy as it sounds. 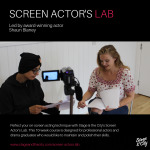 There are various tips for an acting audition that every successful actor must know. These include preparation, performance and result. You need to follow five easy steps to make sure that you are ready to put your best foot forward and give an amazing and memorable audition. Memorize the material as it is a basic skill that any actor needs to know. Knowing your lines is an important as well as the first step of casting audition. Try to personalize the words and situations. A true artist creates something meaningful. Always create a character that can help you relate to your scene. Develop a stronger impact on casting directors by going deeper into creating a multi-dimensional character. Prepare yourself by rehearsing again and again. Experiment and find different ways to see what feels natural. And before you arrive for the casting auditions, get a good night’s sleep, eat a good breakfast and don’t be late. Also dress appropriately and professionally. Similarly, be patient, respectful and considerate to everyone, including the assistants.